I did think about using the article in the latest Cactus World to set this month's topic but focus stacking might be too specialised and we have had Close up as a topic in the last two years so based on my plant in the September competition this months topic is Rescued. Not restricted to clearance offer plants from supermarkets, looking for any plant restored to health after being neglected (no need for before and after pictures). I am hoping that I have rescued this Mammillaria candida, but time will tell. I see that I bought it in 1983 and it has been very slow, much more so than my other M. candida. This one had started to lean over, to the extent that only a few roots actually went into the compost, yet, with some determination, it still flowered regularly. About six weeks ago I tackled it and cut off the entire bottom of the plant, which looked awful. I left it for weeks before potting up in this 7" pot. Fingers crossed! I've not entered this competiton before, so here goes. That's an amazing rescue Gerald, well done! I must admit I would have binned the plant as it looked in your original post. This Echinopsis hybrid was given to me with a few other plants a while ago. It had been mauled by a mollusc at its previous abode. In another thread .... viewtopic.php?f=1&t=167450 I'd posed the question relating to its future. It had some offsets when I transported it home; six of them survived the journey whereas a few tiny ones did not; five of these six seemed to have rooted; another ten offsets have popped up and will be potted in the spring; one of the ten is seen here. Another rather late entry I'm afraid. I have bought quite a few plants from garden centres over the years, and I suppose that they could all count as rescues. The first picture is of a Senecio (possibly stapeliformis although I am not certain). This was rescued from B&Q. 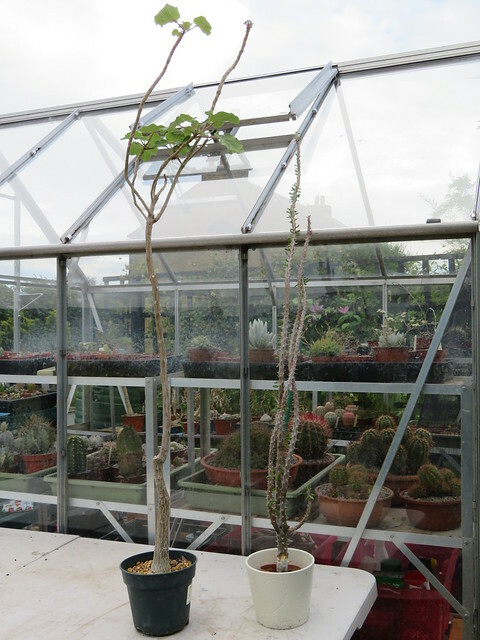 There were five barely rooted cuttings, sitting in a tall glass jar, in about half and inch of peat. I gave two of the plants away as raffle prizes, and the remaining three are now romping around a 5inch pot. This year they have produced at least four flowers between them. The second picture is a slightly different rescue. This was bought at the 2016 National Show from a specialist cactus nursery, which has excellent plants. This one had got a little over-enthusiastic however, and split (this is just visible at the front of the picture). I bought it anyway, as I thought no-one else would and this year it has rewarded me with a total of 10 flowers. This is one rescued from my own neglect! 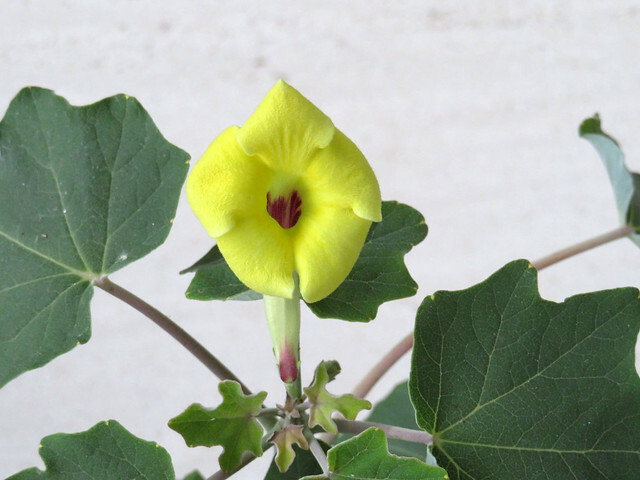 I posted this picture of an Uncarina and another plant on the forum last year asking for advice. The suggestion was to cut it back hard, so I did. It started to grow back this spring and I got flowers for the first time in years. I'm going to give it another trim this year.